How to find best GST Consultant for your Business? CentrikBlogsTax AdvisoryAll About GSTHow to find best GST Consultant for your business? Since Goods and Services Tax (GST) has rolled in, it has certainly put businesses through winger. Reason being they are not comfortable with postulates of GST Portal and sometimes the computer as well. Whereas the GST tax regime needs to be managed and handled in an effective way. This is where businesses most certainly need a GST practitioner. Some general Tax and Accounting professionals that are engaged to file returns of firms and individuals like Chartered Accountant (CA), Sales Tax Practitioner (STP) and Advocates. Form GST PCT-1: Application for Enrolment as Goods and Service Tax Practitioner. Form GST PCT-2: Enrolment Certificate for Goods and Service Tax Practitioner. Form GST PCT-4: Order of rejection of an application for enrollment or disqualification of a GST practitioner found guilty of misconduct. Form GST PCT-5: Form for Authorization/withdrawal of authorization of Goods and Service Tax Practitioner. He/she should be a retired officer of Commercial Tax Department of any State government or of the Central Board of Excise and Customs (CBEC). Moreover, he/she should have acquired a post of not lower in rank than of a Group-B gazette officer for not less than 2 years. He/she has been enrolled as an STP or tax return preparer under the existing law for a period of not less than 5 years. Final examination of the Institute of Company Secretaries of India. We have tried clearing doubts about work activities and eligibility for a GST Consultant. Let us focus on the main framework, i.e. 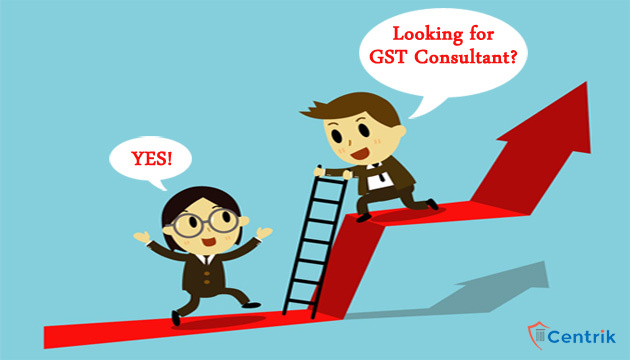 why do you need a GST Consultant? One-stop solution for all GST-related queries in India. In the above article, though we have tried to give the lowdown, we would like to conclude to engage yourself with a genuine GST Consultant. The consultant will be one-stop solution to all your queries and you can relax while your issues will be handled by an expert.